A video about cuttlefish and their amazing color-changing skills. Other members of the cephalopod family can also change color, but cuttlefish are famous for their ability to produce moving patterns on their own skin. 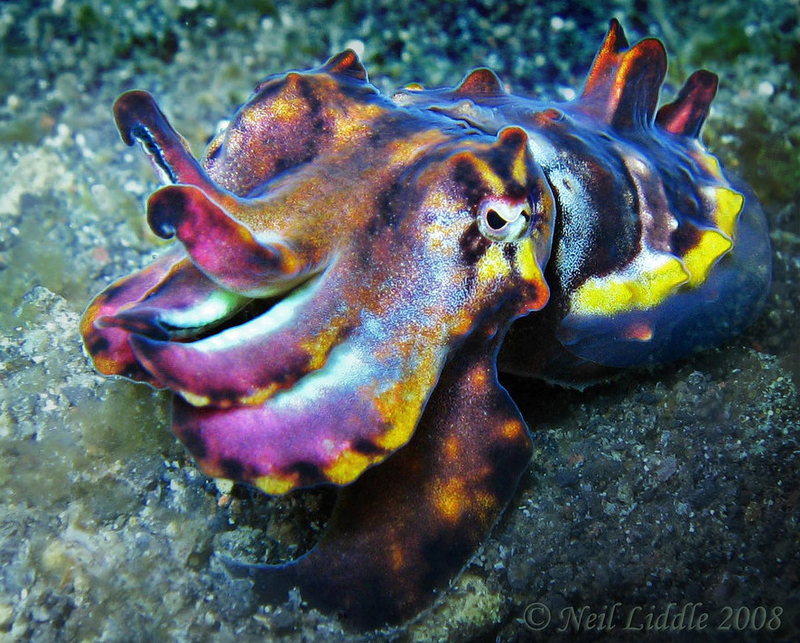 Marine biologist Roger Hanlon is king of the color-changing cephalopods. I've talked about him here before. In this video, narrated by NPR's Robert Krulwich, Hanlon demonstrates how much fun his job really is. Via Robert Krulwich's blog, which has more background on the camouflage gymnastics that cephalopods are capable of.